Today, hundreds of thousands of New Yorkers who remain unemployed, and many more who have dropped out of the workforce or are underemployed, simply lack any opportunities to contribute to and benefit from the innovation economy. As you read this, these New Yorkers require job training and employment services. What is being done to provide equitable opportunities for these New Yorkers and create an inclusive workforce? Without equity-centric policies, marginalized individuals and families will find themselves in a place similar to when the mayor took office in January 2014. 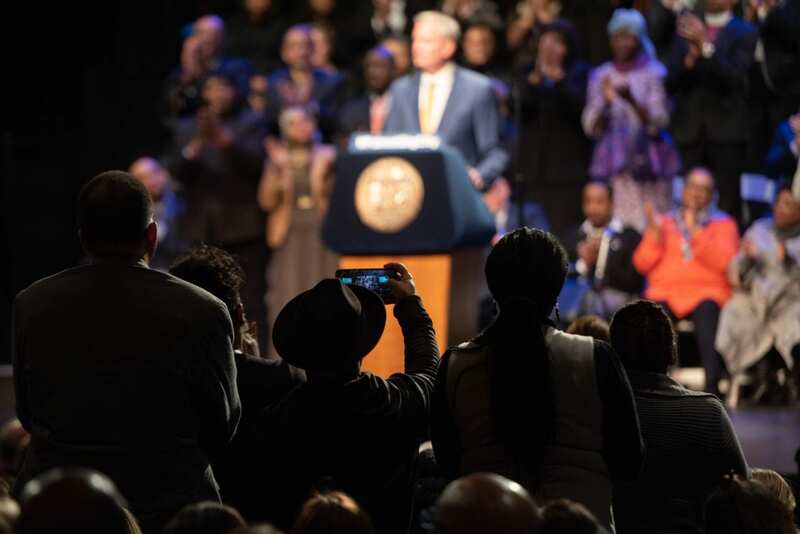 On January 10th during his 2019 State of the City address, Mayor Bill de Blasio shared his agenda that addresses the “Tale of Two Cities” and supports his vision of a New York City that includes all New Yorkers, specifically those who are marginalized and have long been excluded from the city’s success. We applaud many of the initiatives he highlighted, including “Two Weeks Paid Personal Time,” Protections for “Freelance and Independent Workers” and a “Universal Retirement System”. This is progress and it should be commended. However, these initiatives support workers presently struggling to survive and succeed in our city. 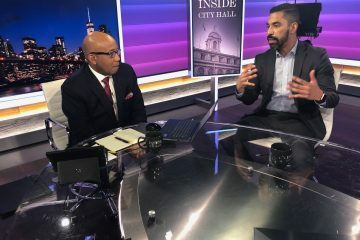 A glaring omission was what the mayor has planned in order to support marginalized New Yorkers who are unemployed and not in a position to benefit from these progressive initiatives and policies. Today’s New York City is a tale of two cities born of decades of disinvestment in communities that now face entrenched economic inequality perpetuated by skills deficits and barriers to education and employment. A significant percentage of these New Yorkers lack relevant work experience and professional skills, in addition to basic skills in literacy, numeracy, and English-language that would build on their potential and make them viable candidates for employment. However, talent and a capacity for learning exists within every individual and community. An equity-centric progressive agenda would tackle these deficits head on by directing greater investment into training and resources that help these New Yorkers surmount their barriers to economic success and thrive. A progressive agenda without a focus on equity is narrow in scope and only helps people survive. 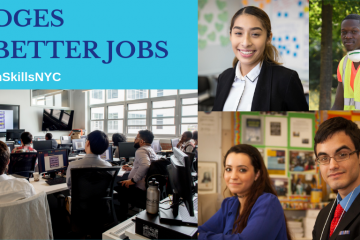 In every corner of the city, community based organizations and city universities are providing these vital services to current New Yorkers who have significant barriers to employment. Stephen Smart is one of many New Yorkers who has had to overcome a number of challenges, including experiences with homelessness, incarceration, and substance abuse, as well as diabetes and blindness. Through his journey, Stephen found his way to Project Renewal where he was enrolled into the “Next Step Internship Program“, a program that provides training for careers in homeless services. Since completing the program, Stephen has been hired as a House Manager by the Jericho Project and as a Wellness Advocate by the NYC Department of Health and Mental Hygiene. The training Stephen received helped him one, develop critical skills to turn his experiences and hands-on knowledge into a career; and two, share his experiences and subsequent success with others who have had similar life experiences and barriers. Stephen is just one of hundreds of thousands of New Yorkers that require such support. This is why we call on the de Blasio administration to foster a workforce system that creates living-wage career tracks for jobseekers; aligns workforce and economic development; and operates with respect for people, community and local businesses. • Implement and fully fund “Career Pathways” for all New Yorkers: Bridge programs, as described in the de Blasio Administration’s 2014 Career Pathways plan, are designed to provide those who have either basic skills deficits or barriers to employment with the key skills they need to take advantage of available jobs and training programs. This year, Mayor de Blasio should fulfill the promise set in his Career Pathways plan of $60 million in annual funding for bridge programs by FY 2020, spread across several agencies including the NYC Dept of Youth and Community Development (DYCD) and the City University of New York (CUNY), and initiating new ones via the NYC Human Resources Administration (HRA), the New York City Economic Development Corporation (NYCEDC), and the Mayor’s Office of Workforce Development (WKDEV) for jobseekers with basic skills deficits. 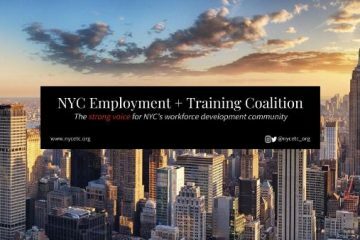 • Embed workforce training into all economic development initiatives: All major economic development projects and initiatives must include substantial workforce training investments that create equitable career pathways for all New Yorkers. In order for all New Yorkers to benefit from economic development investments made by the administration into projects involving city resources such as land, tax credits, or direct funding, workforce training investments must be embedded into projects to create talent pipelines and employment opportunities. • Streamline oversight of the workforce development system: The New York City Council can ensure the above goals are attained by streamlining oversight and requiring key reporting. This can be done through the creation of a new Council committee or task force with a focus on ensuring that the dollars spent by the city on economic and workforce development are not only creating job openings but are filling jobs with New Yorkers in need of improved employment; and requiring through legislation that city agencies issue clear annual public reports on the number of jobseekers they have served. The mayor’s recent release of a Request for Expressions of Interest (RFEI) for organizations to “support research and planning into innovative approaches the city could take to promote training and hiring of underrepresented New Yorkers in tech and other in-demand sectors” is a small step in the right direction and should be commended. However, this can only be considered the beginning. How marginalized and disinvested communities are impacted and included in our city’s vision of success must be the very first questions considered, not an afterthought or addendum. By doing so, the mayor can lead the way on economic inclusion and not settle for progressive policies that maintain the overall system and power dynamics as they have existed. The mayor can boldly drive an equity agenda that invests in all of us by prioritizing those of us that have been left out.